I have a crush on burlap. Well, it’s probably a little more like an obsession! I know that it might be a little smelly and scratchy and it sheds BUT it is sooooo pretty and looks amazing in almost any decor. I think burlap is here to stay. 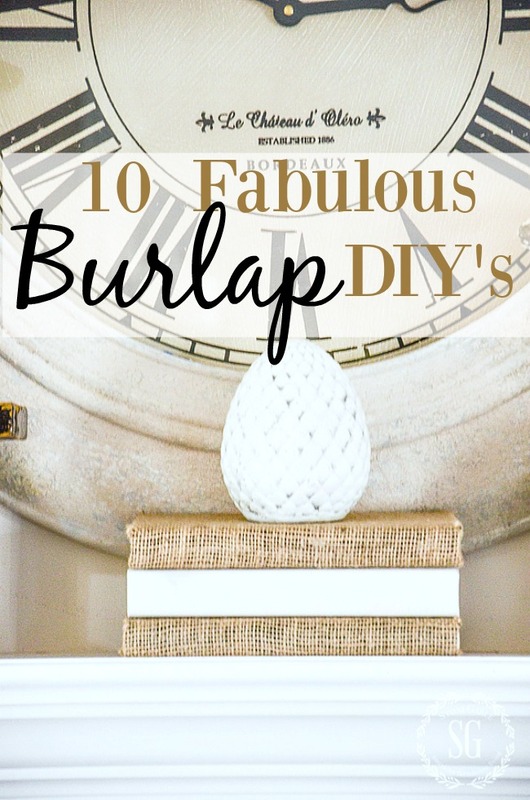 Today I’ve rounded up 10 of my favorite burlap DIY’s to share with you! Even if you are not crafty you can make this pretty bow. It’s so so easy and I have a post with very detailed instructions for you! Learn how to make this one bow and you won’t have to learn how to make another! Did you know that you can wash burlap? And when it’s washed it becomes soft and lofty and does not smell and it so much easier to work with. It does make your washer and dryer a little fuzzy, but it is so worth it! If you try one burlap diy y0u might want to try your hand at covering burlap books. They will become one of your most used decor items! And you can still read them. 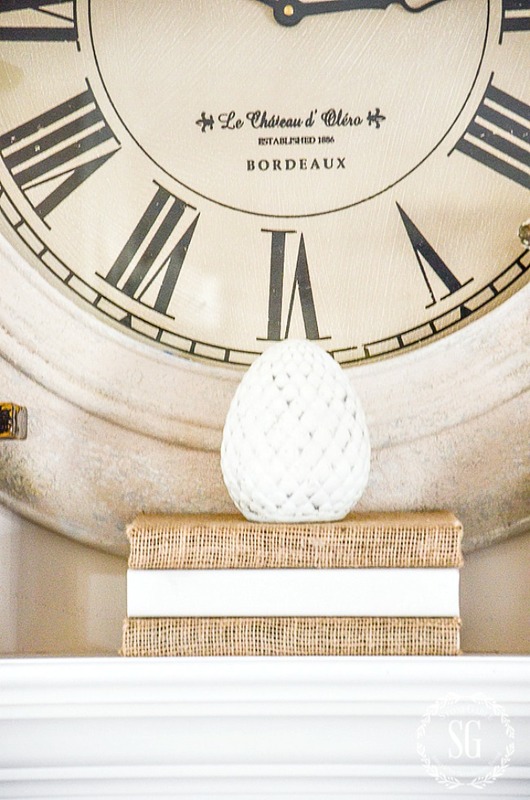 Warning: this diy project is a little addictive! I could cover all the books at StoneGable if I had the time! Don’t you love this darling pillow? And you won’t believe just how easy it is to make. Can you see this pillow in your home? This is such an oldie but goodie wreath. 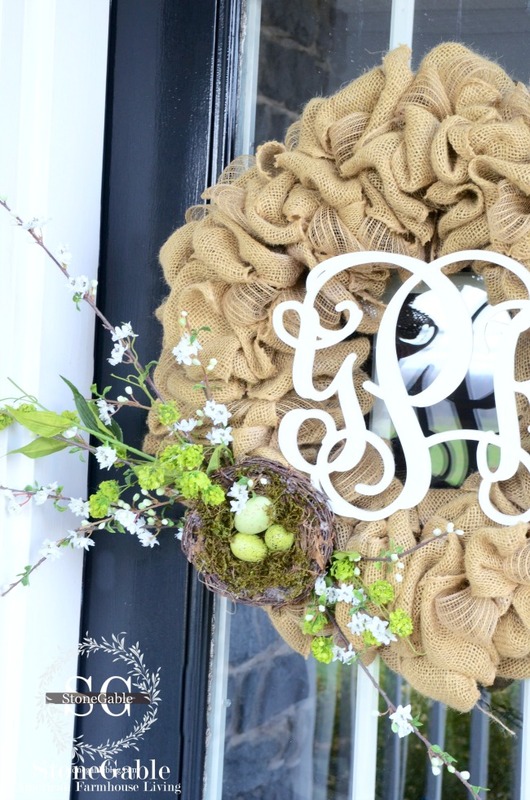 I think almost everyone has made this easy peasy and fluffy wreath. But I had to add it to this lineup for the one person who has not made one yet! Is that you? Yes, these are no-sew! And so easy too! Aren’t these cute? I have them on a guest bed and get so many comments about them! If you have been reading StoneGable for any length of time, you know I love pillows! And here is such a WOW factor pillow to make for your home. All you do is cut and glue circles!!!! This is one to try! These are fun to make! And they will look great in a bowl with willow balls or moss balls. Or mini pumpkins or acorns or even pinecones. They are a very nice, textural, nubby filler! This pretty table runner is made from burlap ribbon! Yes, it is! Putting it together reminded me of those little weaving kits I had as a child! Do you have an old lampshade rolling around somewhere in your home? You can upcycle it into a pretty ruffled burlap lamp shade! There you have it… my top 10!!!! I hope you will try to make one, two or a few! Your beautiful dinning table did you do it or was it bought? Hi Deb, I think you are talking about my kitchen table. It was made for us. Hope this helps. Made the burlap runner re your instructions and it came out great! Thanks for your idea! I have MANY yards of 12″ width burlap fabric leftover from my daughter’s wedding. We used it for table runners. Your post may be the motivation I need! I also loved your idea you shared in a podcast of attaching burlap to sheer curtains. Thank you! I love using burlap in decorating! I didn’t realize you could wash burlap – thanks for sharing. I like the idea of the burlap balls. I wonder if I could glue burlap to cheap dollar store pumpkins. Will give it a whirl. Thanks, Yvonne, for the reminders on these burlap projects. Pinning the Mr/Mrs pillows and the burlap balls. I think the burlap balls would be a nice easy project for me, thank you! Thanks for giving me the push to start making a burlap Christmas wreath. Your ideas are very creative! What great ideas! And I’m glad to know the tip about washing burlap. So happy for the new ideas for using burlap ! I usually just make runners, so this is a refreshing idea to make good use of the many yards of print aas well as solid to use ! Great ideas, I think I’m going to do the balls and try and get to the books. Thanks for sharing the burlap ideas. I love the wreath! I love burlap! Even though I’ve been following your blog for awhile there were a couple of projects you included here that I hadn’t seen before; thanks! Wow–such great ideas and I love them all. But with your amazing DIY projects , when do you ever SLEEP! 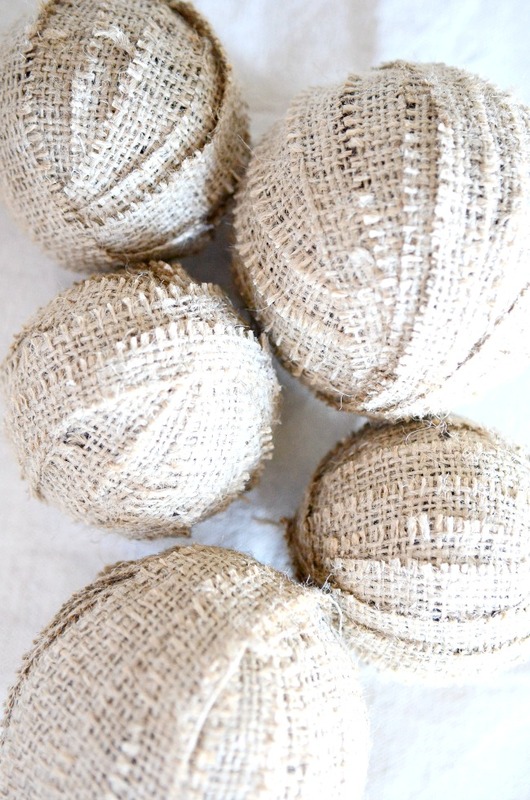 Burlap balls…thanks for the prompt, I’ve been thinking of making them for fall! 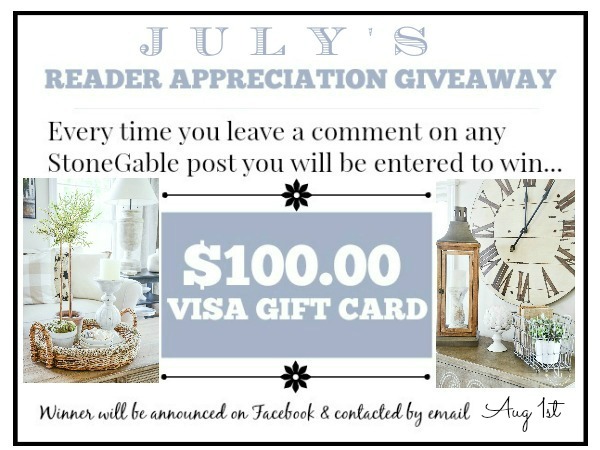 The entire VintageStyleLiving.com staff loves your blog! Just loved the table runner and flower pillow. Thanks for sharing! I have a large wall clock very similar to the one you own. Mine is very dark and for that reason it sort of depresses me. I know you’ve painted yours. You inspire me to do the same. I won’t do it this summer, but its on my list of things to do. I’ve told you before that you’re my favorite blogger, but I’m telling you again. Everything you write is well written and your ideas are very artistic and useful. 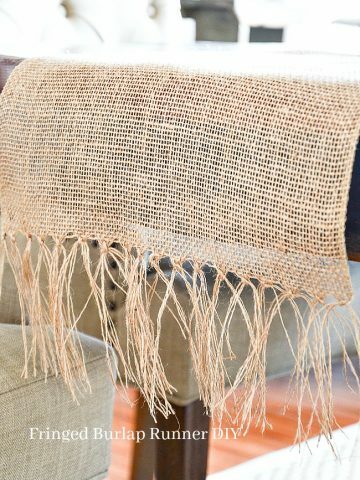 I just love burlap, just purchased some today for our SIL weekend, we do a few crafts for the fall for our homes. I love the burlap book covers, yes I will be covering a few in our family room. Great ideas and I love the no sew pillows. Thanks for the washing tip. I, too, love burlap projects, however, it sometimes causes an allergic reaction. Are you still sending daily emails? I am not getting them now. Why? We love burlap too, Yvonne! Great projects, thanks! Wow! 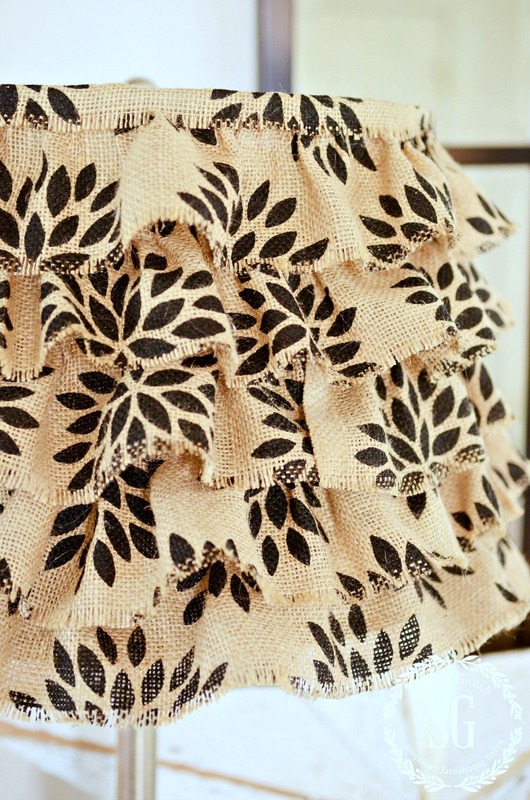 So many things you can do with burlap! Who knew!!! Thanks Y!!! 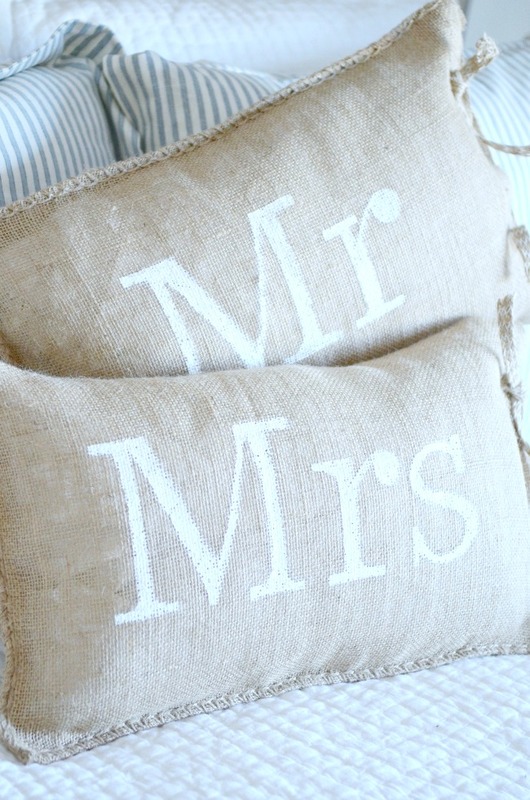 Love all of the burlap decorated pillows! Have some wide patterned burlap ribbon that should come in handy for some new pillows! Love all the burlap ideas. Never knew burlap could be washed. Thanks for this post! 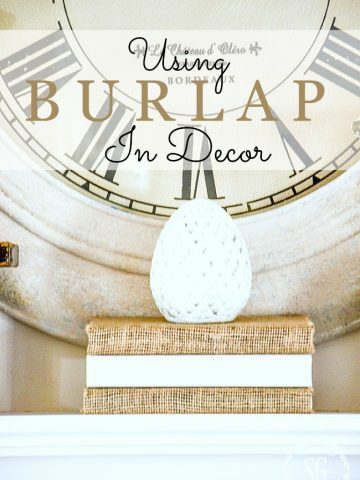 I hope you’re right in saying burlap is here to stay because I love it too! 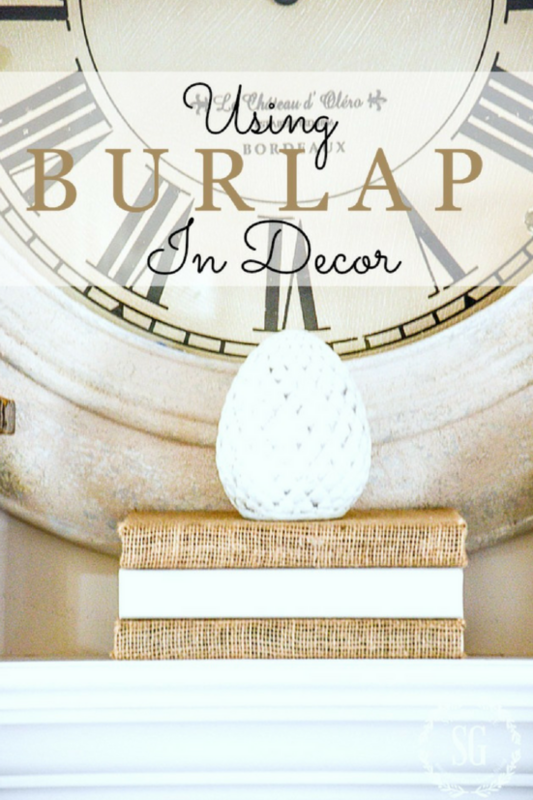 Please keep featuring burlap! Seriously cute! I love them all but I think I’ll make the pillows first. Love all the ideas! Love burlap and all the cute projects. Love all your burlap! I am going to try covering some books! I have not gone the burlap route due to its “fragrance”! Thank you for the tip about washing this very textural fabric. Any tips on a good hotel in the Lancaster area? Love B and B’s, but husband’s allergies won’t allow these. Thanks for any good info! 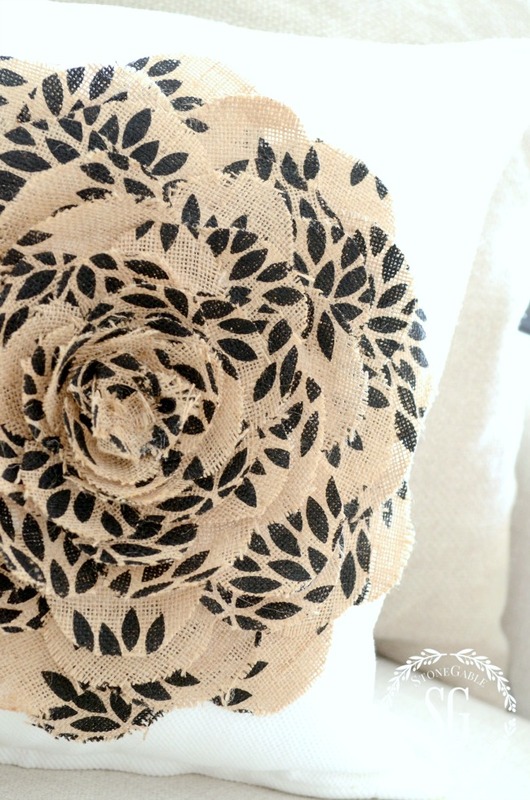 burlap is a huge favorite!…love your ideas , especially the flowers! I love burlap also and have made some of these projects. 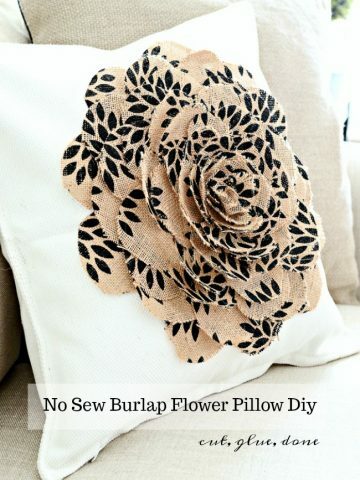 I have not tried a burlap pillow, so maybe a fall project is in store for me. 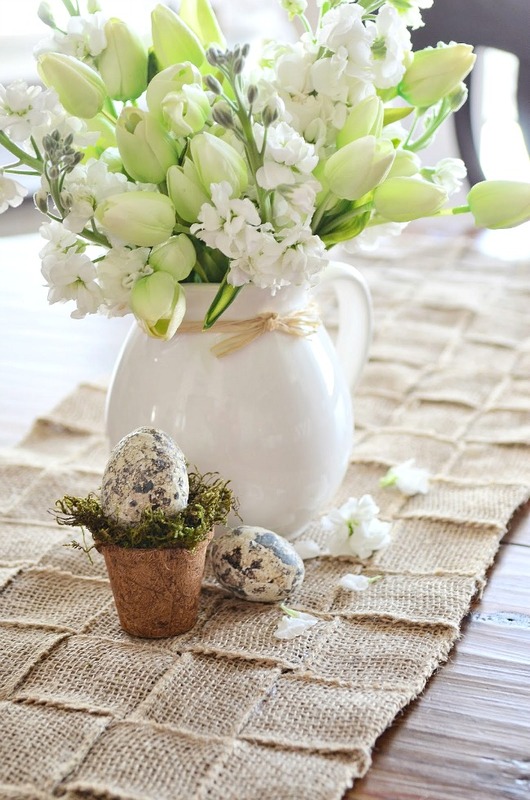 Wonderful ideas for burlap! My burlap wreath is on my front door. And I never knew you could wash burlap! I love burlap, and I never get tired of it! I am glad to know you can wash it. I have a burlap table cloth with a layered skirt, it was kind of expensive and I purchased from Grandinroad. I think I could wash it and air it dry. It covers a long folding table and we use it for parties and during Thanksgiving as an additional serving table for tea and desserts. 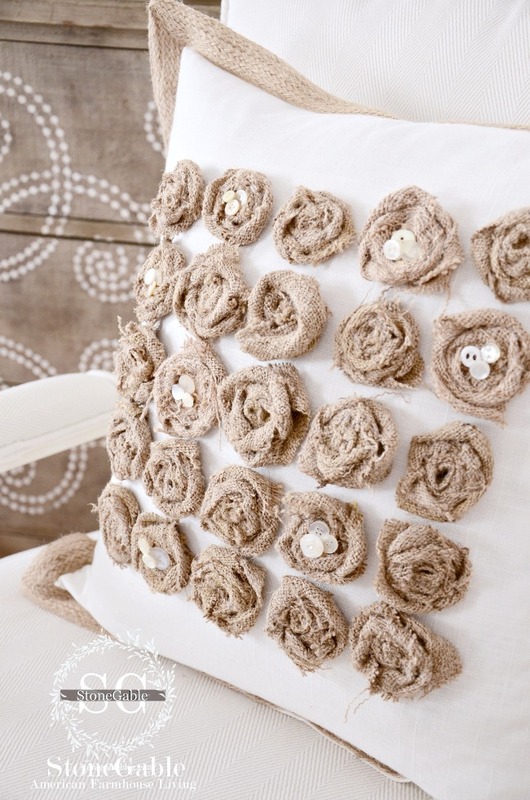 I also like to decorate with burlap, I love your ideas and the darling no sew pillow! I just tied a left over strip of burlap around a very plain lampshade, and pow… a new look ! Left-overs aren’t just for dinner….. 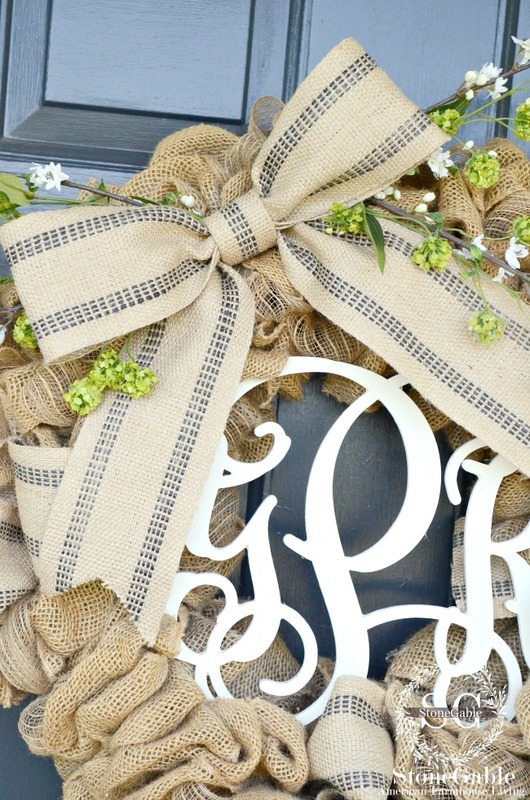 I love all these fun burlap ideas! I’ve been admiring your burlap covered books for some time now. I think I will start with those, but I may just have to do all of these cute ideas! Thanks Yvonne! Thanks for this post, Yvonne, all of these great tutorial in one place!! Working on a wreath right now! Love burlap!! Thanks for sharing all the project. Enjoy the day. Thank you for all the fun things to do with burlap. I can not wait to try the table runner. Have a great day! Thank you for these great ideas! I especially appreciate the “no-sew” ones! The burlap runner is my favorite! I love burlap – thanks for this roundup of the best projects. 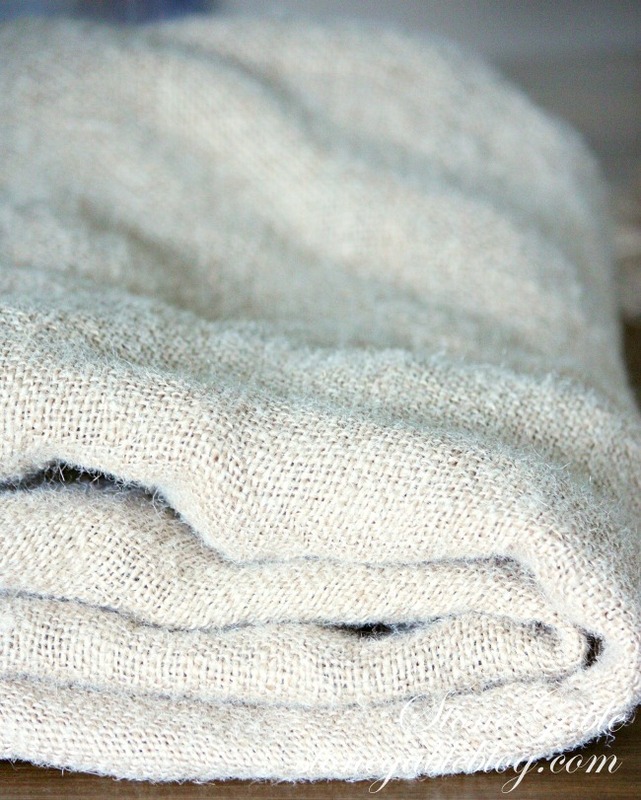 Throw your unwashed burlap into a lingerie bag to machine wash and dry. Will help reduce loose pieces of lint.